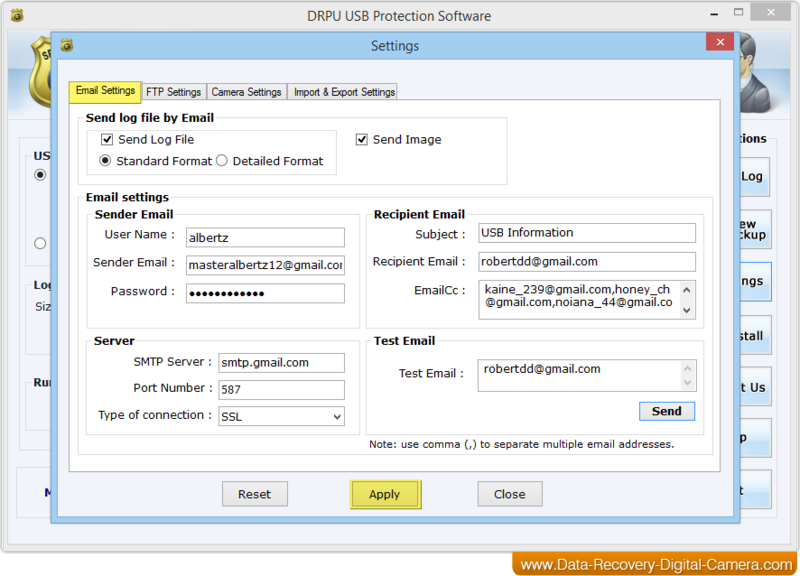 Click on Settings button and set E-mail settings with sender and recipient email address to send USB device plug-in and plug-out activities log file. 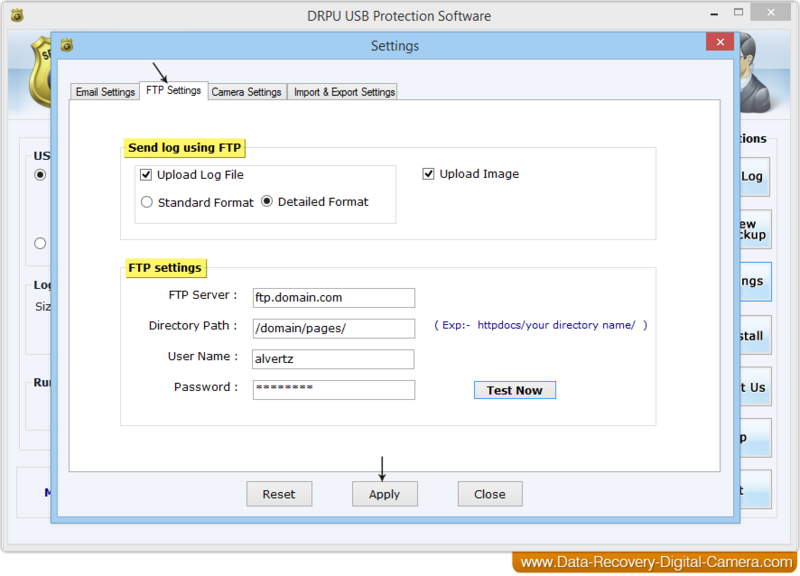 Using FTP settings set Ftp server name, directory path, user name and password to upload log file. 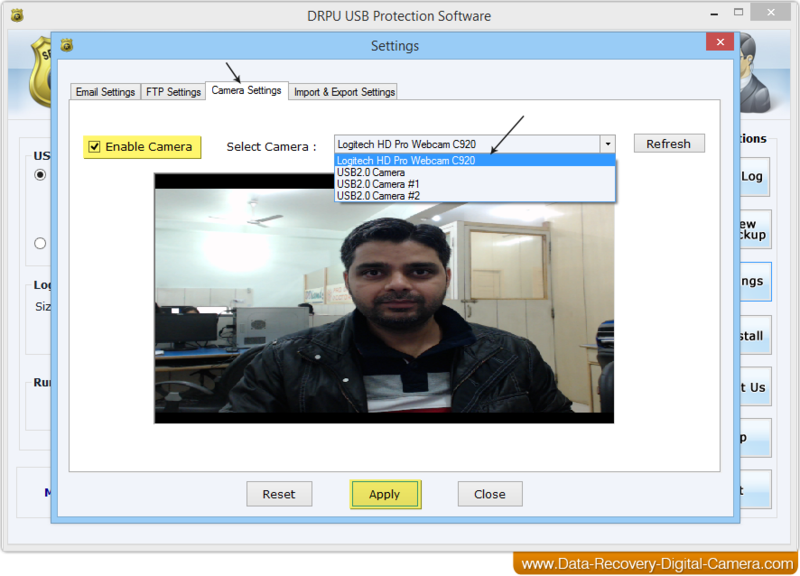 Enable Camera settings to take picture during system activities with USB device. 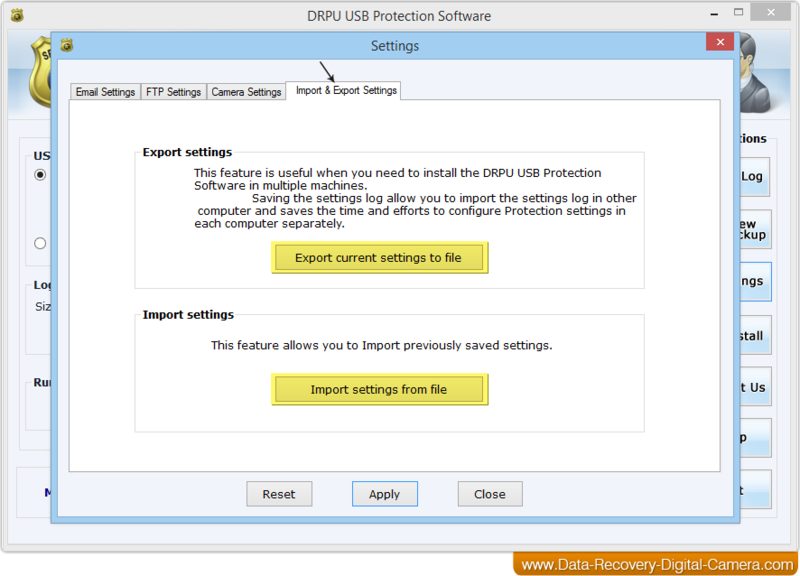 You can easily Export and Import current settings to use on another system during installation of USB data theft protection software. 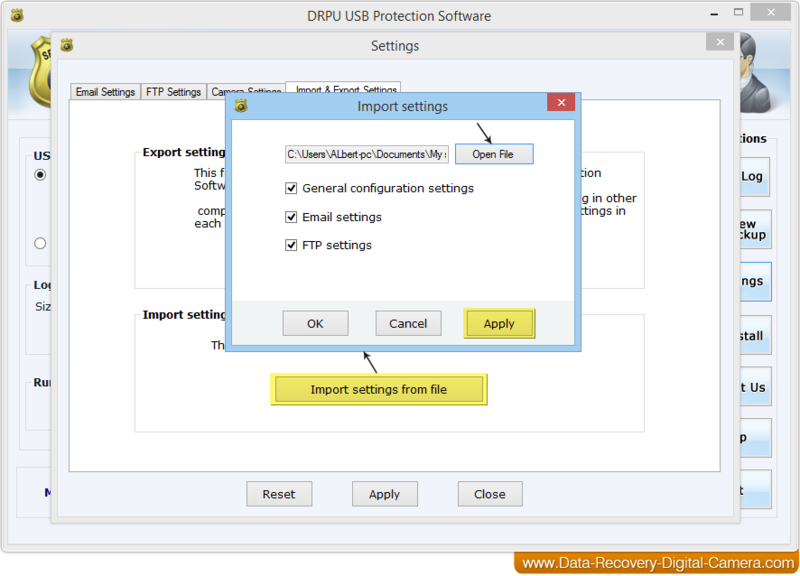 Here we have shown, export current settings with General Configuration settings, E-mail settings and FTP settings for demonstration purpose only. 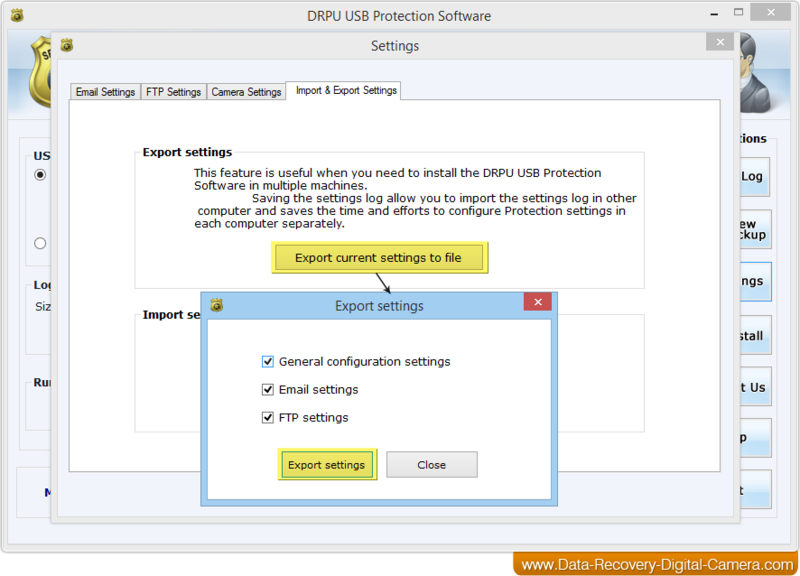 Similarly, you can import current settings from file with Email settings, FTP settings or General settings accordingly. 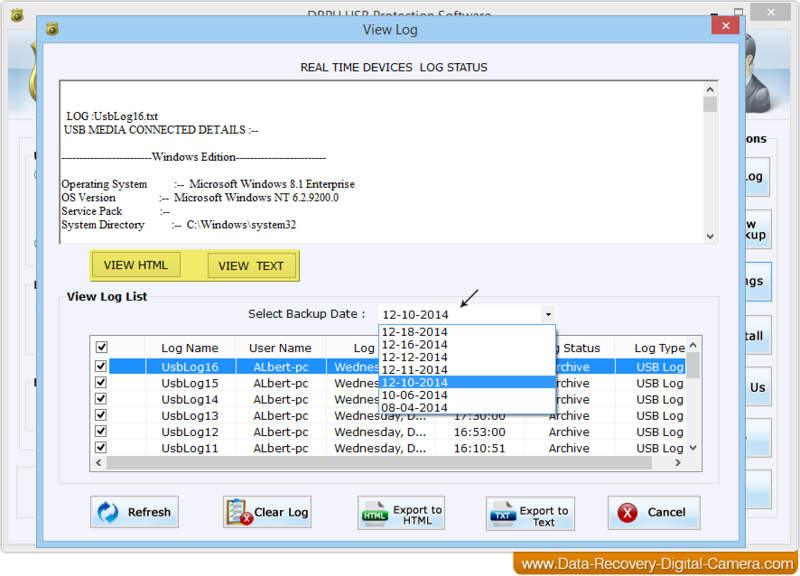 Click on View Log option to see generated log file of desired date with HTML or TEXT file format. 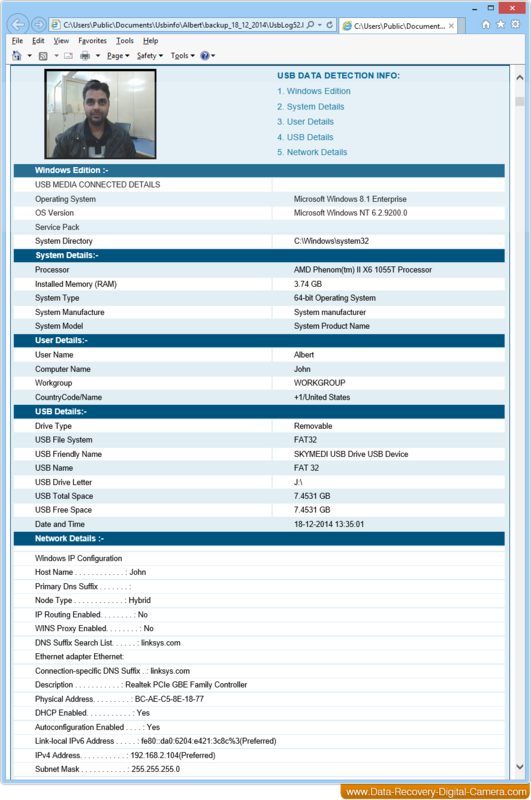 Above screen shows the sample of detailed HTML log file.